Aberdeen, Md. - You can't let Outdoor Weekend with The Aberdeen IronBirds be the one that got away! The IronBirds plan to reel in fans July 27-29, as Harford County plays host to the 2018 Huk Bassmaster Elite at Upper Chesapeake Bay presented by Mossy Oak Fishing professional bass fishing tournament. 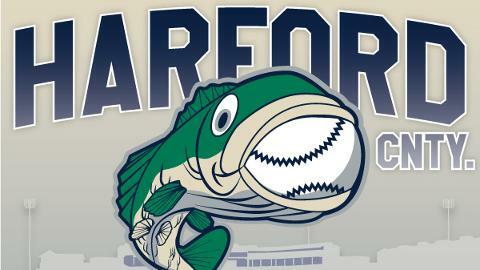 In celebration of the weekend events, the IronBirds will play as the Harford County Anglers of Aberdeen, July 27-28. In addition, Visit Harford! will host a free family festival in Leidos Field at Ripken Stadium's parking lot on Saturday and Sunday (July 28-29), along with the coveted Bassmaster Elite final weigh-ins where one angler will win the $100,000 grand prize. "What better way to blend the worlds of baseball and bass fishing than with the creation of the Harford County Anglers of Aberdeen! We look forward to welcoming the Bassmaster Elite Series anglers, partners and fans to town and hope our fans get hooked on the exciting Outdoor Weekend of professional sporting events," said IronBirds General Manager Matt Slatus. The Harford County Anglers of Aberdeen will gear up in specially designed uniforms for the weekend. 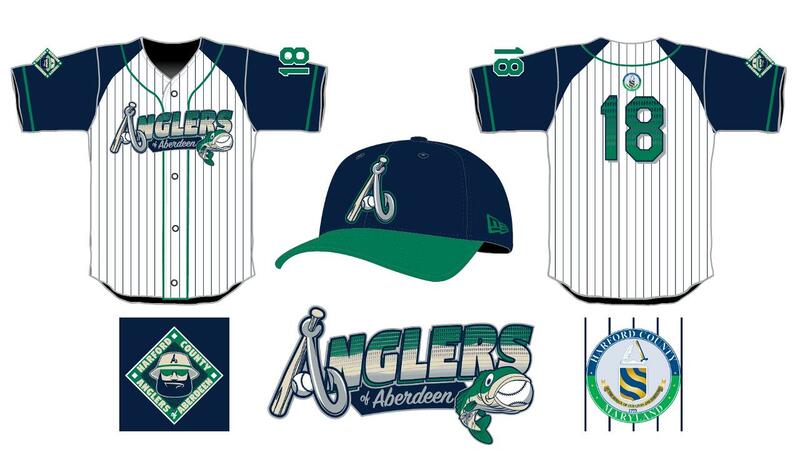 The pinstripe uniforms will feature numbers with inlaid "fish scales" and new logos combining bass, baseballs, and bats. A patch with the Harford County seal will be placed on the back of the uniforms. The right sleeve of the jersey will have a unique Anglers of Aberdeen patch, featuring an angler in a Harford County Anglers of Aberdeen bucket hat. Beginning at 5:30 p.m. on Friday, July 27, and concluding at the end of the game on July 28, the Anglers' game uniforms will be available for online auction at www.IronBirdsBaseball.com. This is the first time the Bassmaster Elite Series, the highest level of professional bass fishing tournaments in the country, will be hosted in Harford County. On Thursday and Friday, July 26-27, 108 anglers will launch out of Edgewood's Flying Point Park as they try to catch the heaviest five-bass limits each day. The field of anglers will be trimmed to 50 on Saturday and then to 12 for Championship Sunday, July 29. The free family festival hosted at Ripken Stadium will offer unique experiences for spectators and fans throughout the region to enjoy. "This is a big catch for Harford County! We are excited to host our first Bassmaster Elite Series and proud to be the home of the Harford County Anglers for a weekend - and home to the IronBirds all year long," said County Executive Barry Glassman. "We can't wait to show fans and spectators from around the region all that Harford County has to offer," said Greg Pizzuto, Executive Director of Visit Harford! "It wouldn't be possible without the effort and support we've received from so many local businesses and community members." 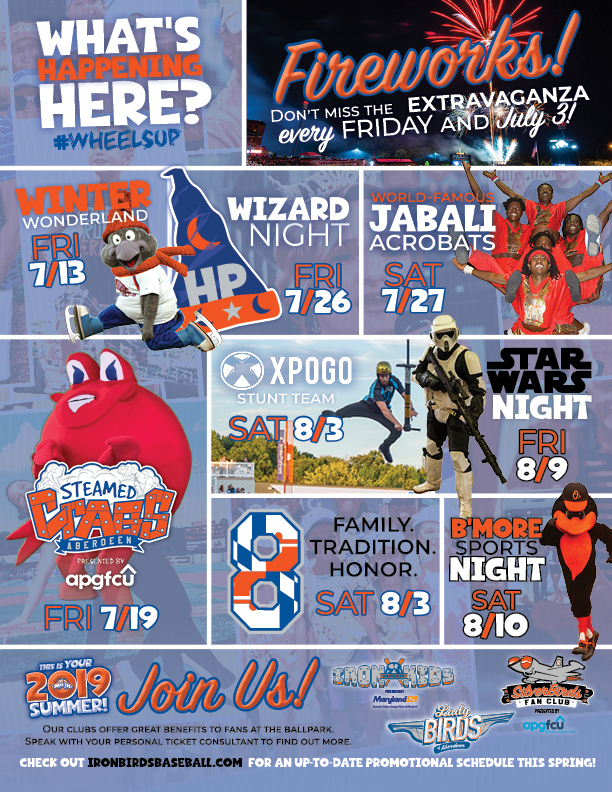 Beginning May 5, fans can purchase single game tickets online at www.IronBirdsBaseball.com or by visiting the box office at Leidos Field at Ripken Stadium. For more information and 2018 schedule, visit www.IronBirdsBaseball.com or call 410-297-9292. Follow @IronBirds on Facebook, Twitter, Instagram and Snapchat!